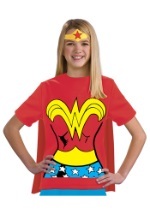 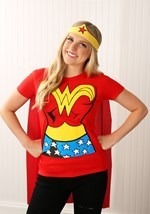 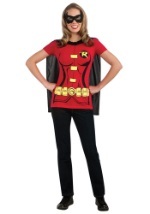 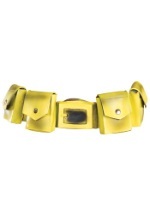 Become the caped crusader in a flash! 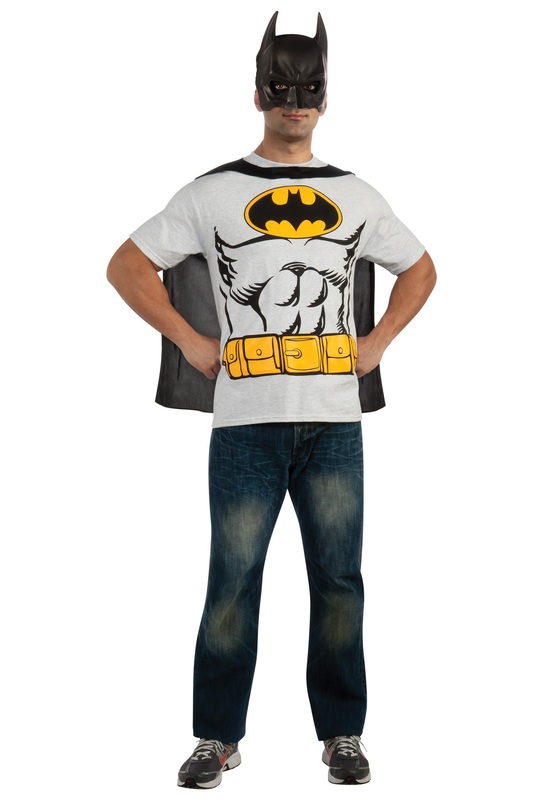 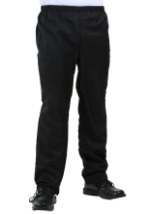 This Batman T-shirt costume includes a gray cotton t-shirt with the Batman logo, muscles, and utility belt all printed on the front. 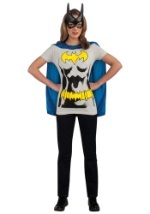 On the back of the shirt are two piece of Velcro where the black polyester cape is attached. 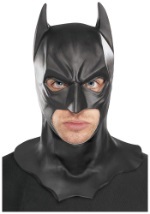 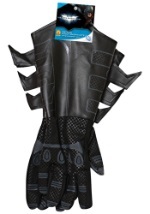 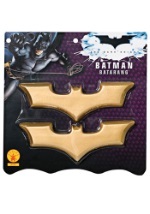 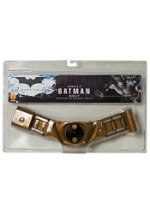 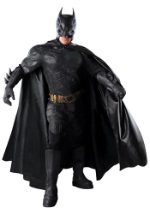 This costume also includes a black plastic Batman half mask that covers the front of the face. 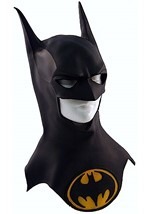 There eye holes and the mouth area is open to allow for easy seeing and breathing. 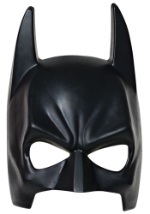 The back of the mask has an elastic band to allow the mask to stay on the wearers face. Bad guys will fear you in this tee!